Canadian mammals, from the tiny pygmy shrew to the enormous muskox, are wonderful examples of the beauty of nature. 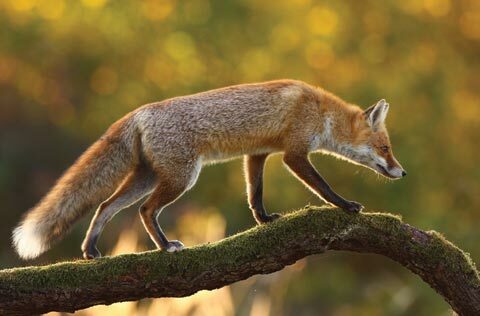 Some are especially graceful such as deer, others incredibly agile like mountain goats and acrobatic like squirrels while some are mysterious like the red fox or mountain lion. All are fascinating when you take the time to get to know them. Taking time may even offer glimpses of their comical or tender moments. When nature is left alone, plant and animals populations are able to maintain a balance. But where humans and animals meet, sometimes the presence of mammals is undesirable, as when garbage attracts bears to urban areas or when a raccoon helps himself to homegrown veggies. No matter how you perceive them, the role of mammals in the food chain is vitally important, either serving as food for other animals or as predators that help keep populations in check. They also help plant populations with dispersing seeds either on their coats or via their digestion. Adding or maintaining existing habitat will go a long way in supporting your local mammal population. If conflicts arise, check out our Problem Wildlife section for tips on gently repelling animals from certain areas of your garden. Click here to explore one mammal group that has been misunderstood yet is so vitally important to our well-being – bats. Find out how they live, the threats they face and how you can help these bug-eating allies.